Placement Holds The Key Here! 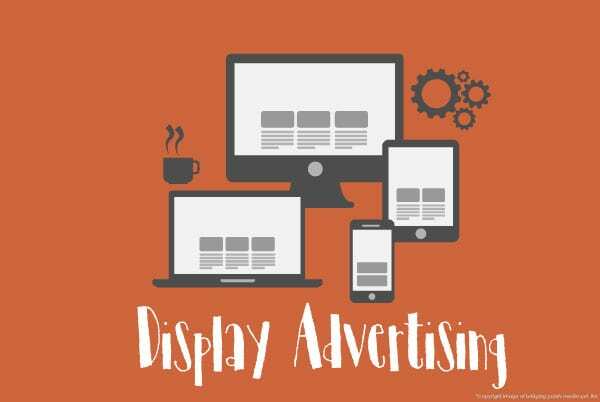 Display advertising is advertising on the websites/apps to communicate an advertising message through banner ads, text, graphics, animation, videos and other rich media to sell products and services in a visually appealing way. Display ads are one of the best media for efficient targeting and real-time conversion measuring. The placements of display ads are the key..tuning in to what the target audience is already consuming and aligning the advertisements such that they are timely, relevant and personalized. 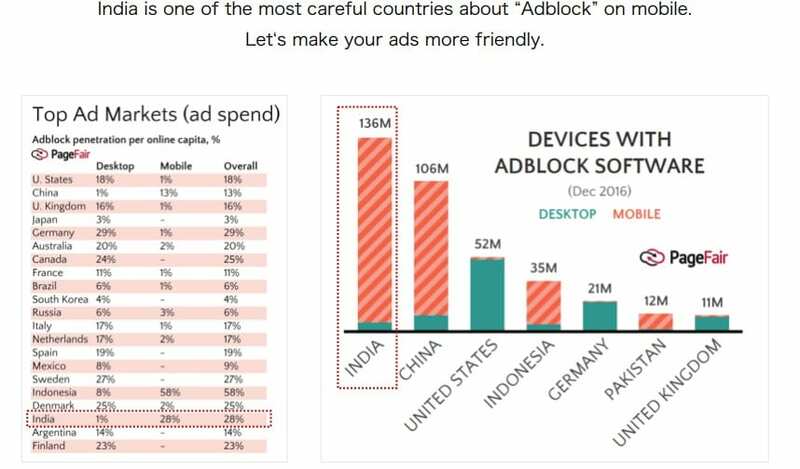 Targeting to the right audience, to the right geography, at the right time, the right number of times among other criteria is important in display advertising and for this purpose ad servers are extensively used in serving, tracking & monitoring, optimizing and reporting of display ads. Display advertising is the most widely used form of digital marketing. The effectiveness of display advertising is measured by the number of clicks generated per thousand impressions of the display banner. This term is also called as click-through ratio (CTR). The industry average CTR cutting across websites for a standard display banner bereft of any innovations is pegged at 0.3 i.e. 3 clicks is generated for every thousand impressions of a standard banner ad. In display advertising the term ad tag refers to any link involved in the ad serving process on the publisher or marketer side. Ad Tag is the HTML code a browser uses to fetch an advertisement from an Ad Server – it is a redirect to content rather than content itself. Some networks have a max loop length for animated banner ads. We check the target networks and publishers to make sure our advertiser/s ad complies with their regulations. The IAB recommends that animation length should be no longer than 15 seconds. Placements are locations on the Google Display Network/other networks/publications where our ads can appear. A placement can be a website or a specific page on a site, a mobile app, video content, or even an individual ad unit. A mobile display ad is an advertisement that appears on mobile devices, primarily on smartphones and tablets. Mobile display ads exist on a variety of mobile websites and apps. In-app advertising is an effective monetization strategy for mobile publishers wherein they serve advertisements within their mobile app. With sophisticated data tracking and user targeting, the in-app environment also allows advertisers to reach consumers with pinpoint accuracy. Display ads are evolving fast with many trends shaping this transformation such as retargeting (or remarketing), native ads, a growth of mobile as a device and a medium, programmatic advertising, to name a few key ones. 1. Site placement advertising: In this type of display advertising the advertiser/marketer chooses the website they would like to run their display ads on. 2. Contextual advertising: In this type of display advertising networks place ads on relevant websites, for example showing an ad for dog food on a pet adoption website. 3. Remarketing: Remarketing display ads appear in front of users who have been on your website or landing page but have left without completing the relevant conversion goal. Retargeting/Remarketing is a form of online advertising which helps to keep the brand in front of bounced traffic even after they leave the website. And yes they cannot be retargeted if they did not make it there in the first place. The biggest difference between retargeting and remarketing is the strategy that is used to reach out to potential customers who have left a website without making a purchase. While retargeting typically relies on cookies dropping ads, remarketing usually uses email. Remarketing collects user’s information and uses it later to send them an email. Both retargeting and remarketing are effective and a brand can use a combination of both to increase its overall profits. Dynamic Retargeting takes this a step further, letting a brand show previous visitors, ads that contain products or services which they had viewed on the site earlier. Dynamic retargeting is a strategy that lets the advertisers personalize every ad impression they serve by featuring ads very relevant to the visitor. For most websites only 2% of traffic converts in the first visit. Retargeting is a tool that allows a marketer to continue the conversation with a user long after he has left the website and therefore increase the likelihood of a conversion/sale as well as enhance the lifetime value of a customer. Retargeting allows brands to position targeted ads in front of a defined audience that had previously visited a website – as they browse elsewhere on the internet. These campaigns provide brands with extra settings and reports specifically for reaching previous visitors and users. Retargeting can increase ad response by a whooping 400%. An Ad Exchange is a digital marketplace that enables advertisers and publishers to buy and sell advertising space, often through real-time auctions. They’re mostly used to sell display, video and mobile ad inventory. 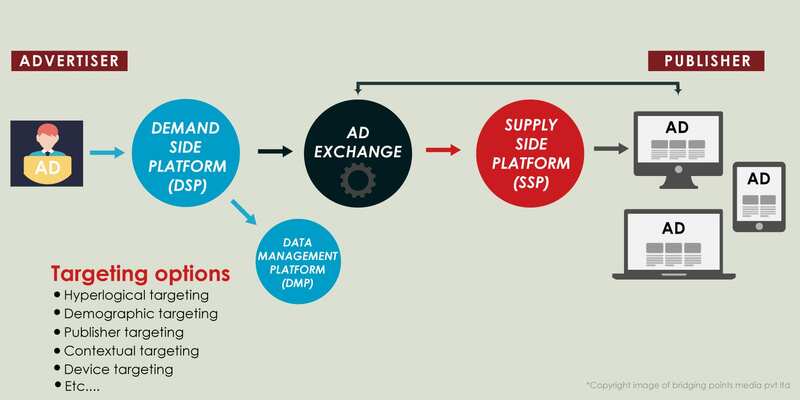 Ad exchange serves as a technology platform that facilitates the buying and selling of media advertising inventory from multiple ad networks. Prices for the inventory are determined through bidding. The approach is technology-driven as opposed to the historical approach of negotiating price on media inventory. Flavors Of The Season & Here To Stay! Native Advertising is a type of display advertising, mostly online, that matches the form and function of the platform on which it appears. Product placement (embedded marketing) is a precursor to native advertising. Native ads deliver better user engagement, more clicks and higher revenue. 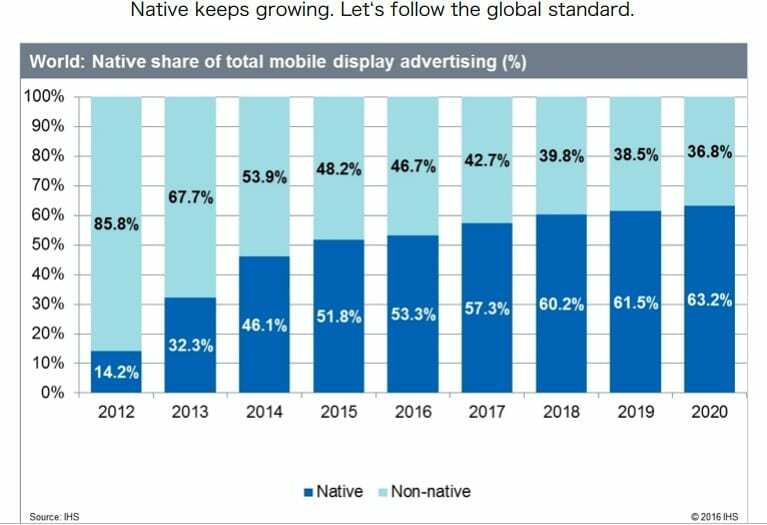 Native ads are often found as recommended content on web pages and unlike display or banner ads, native ads do not really look like ads – native ads are native to their environment. Programmatic Advertising is the automation of the buying and selling of desktop display, video and mobile ads using real-time bidding. Real-Time Bidding (RTB) is a means by which advertising inventory is bought and sold on a per-impression basis via programmatic instantaneous auction, similar to financial markets. Programmatic Advertising or Marketing is a general term, so it’s best to divide it based on whether it involves Real-Time Bidding (RTB) or not. Programmatic ad buying is the use of software to purchase digital advertising as opposed to the traditional process that involves RFPs, human negotiations and manual insertion orders. It is basically using machines to buy ads. Programmatic advertising is automated bidding on advertising inventory in real time for the opportunity to show an ad to a specific customer in a specific context. The advertisers make their bid and in a split-second the highest bidder is chosen, finally the ad gets served and shown to the visitor. Programmatic Native Advertising is a technique designed to insert marketer’s messages and assets in a platform’s feed rather than in the margins where the ads usually appear. Programmatic native combines the best of programmatic and native. 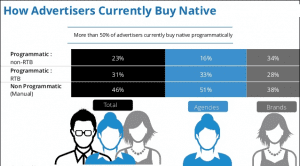 Programmatic natives are here to stay as they generate the highest ROI for the advertisers as well as for the publishers. 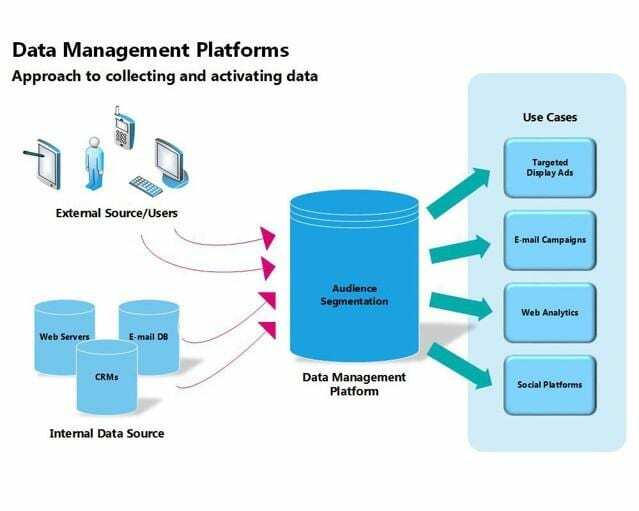 Data Management Platforms (DMPs) are used by digital advertising buyers and publishers to store and manage audience data, often from multiple sources. A DMP is used to store and analyze data while a DSP is used to actually buy advertising based on that information. Information is fed from a marketer’s DMP to its DSP to take informed ad buying decisions but without being linked to another technology, a DMP can’t actually do much. DoubleClick Ad Exchange is a real-time marketplace partnered with the Google Display Network for buying and selling advertising. It provides another market to advertisers for them to bid on display advertising. DBM (DoubleClick Bid Manager) is a demand-side platform (DSP) from Google. Most DSPs are similar to GDN in that they are used to create ad campaigns. But DSPs provide advertisers access into the vendor-neutral RTB ecosystem whereas GDN AdWords only allows campaigns to run within the Google network. DFP(DoubleClick for Publishers) from Google is a comprehensive hosted ad serving platform that streamlines the ad management for delivering ads to websites, mobile webpages, mobile apps, games, or a combination of these. The wider banner ads generally perform better than their tall, narrow counterparts. 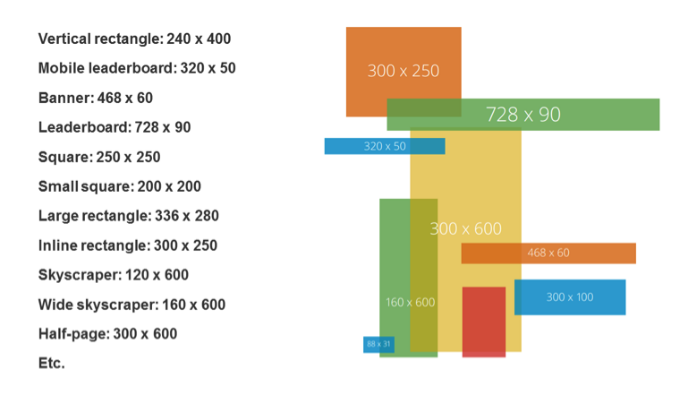 According to Google, the most effective display ads are the 300×250 pixel rectangles. They translate well to mobile devices and work best when embedded in content. 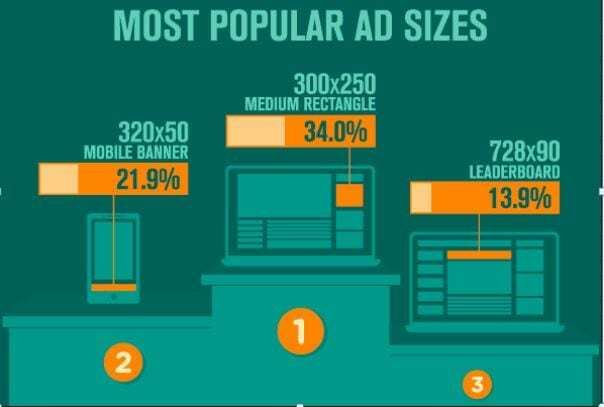 These are the most commonly used display ad sizes. What Is A Post-Click Experience? Message Match is the process of matching the content of an ad to the content of a landing page to make the visitor aware that they have landed on a relevant page. When we create an ad and post-click landing page that maintain a message match, we reassure the visitor that the page they’ve come to is the one the ad CTA button promised to bring them to. In addition to message match, maintaining a conversion ratio of 1:1 is also very important for an optimized post-click experience. Conversion Ratio is the number of places to click on a web page compared to the number of conversion goals presented on the page. A true landing page is a standalone page, separated from the main website’s navigation, the purpose of the page is to promote a single offer, so it should always maintain a 1:1 conversion ratio. The only clickable link on an optimized post-click landing page is the CTA button. If the landing page has other off-page navigation links then we are essentially going against the very definition of a landing page, which of course minimizes our chances of getting visitors to fulfill the conversion goal. We work with a lot of corporate clients and SMBs and execute their display campaigns on our partner publications both in the web as well as in the mobile/apps. 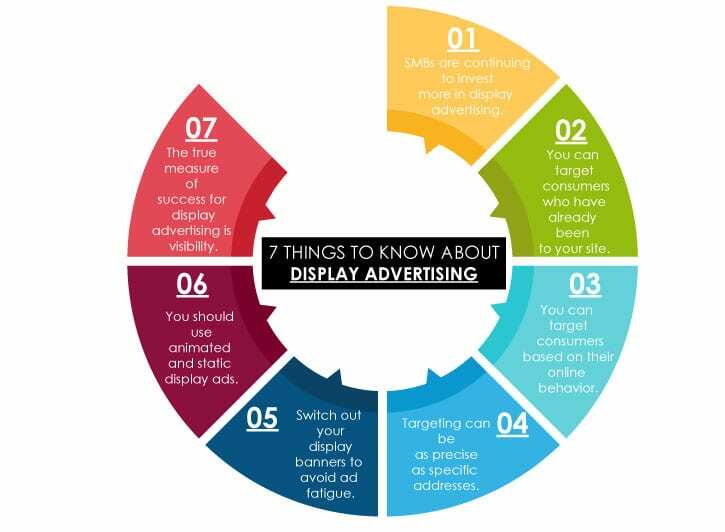 Display campaigns not only helps the brand to gain visibility and establish brand recall & brand connect with the target audience but also helps the brand go the entire distance and generate leads and sales. Our forte is display advertising and we provide the best ROI with effective targeting and optimization of all campaign parameters.